Hilarious Kitty Litter Cake with Tootsie Roll Turds! 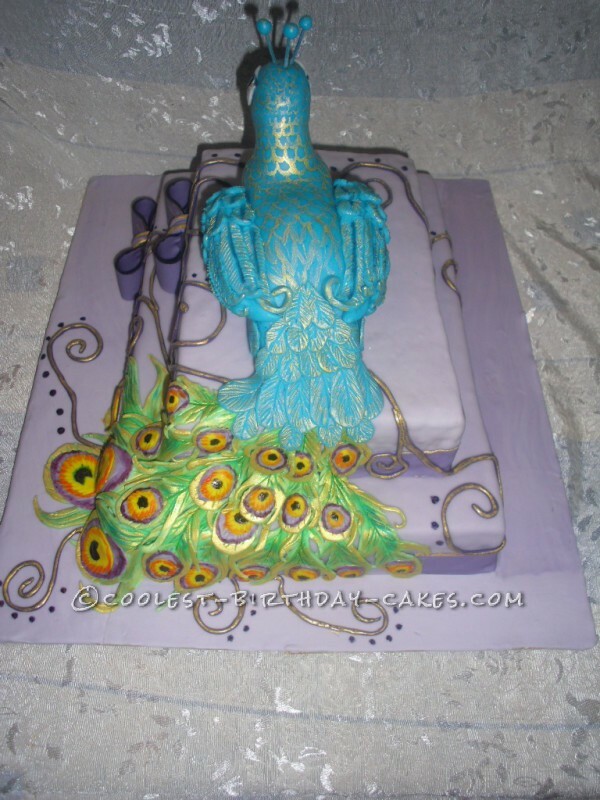 This peacock cake is a favorite children’s cake-chocolate cake. It is made of 4 peel and chocolate creme. Every crust is made from 5 eggs, 5 spoons sugar 5 spoons flour, a little baking powder and 3 tablespoons grated chocolate. Creme is made from butter, chocolate, milk and powdered sugar. 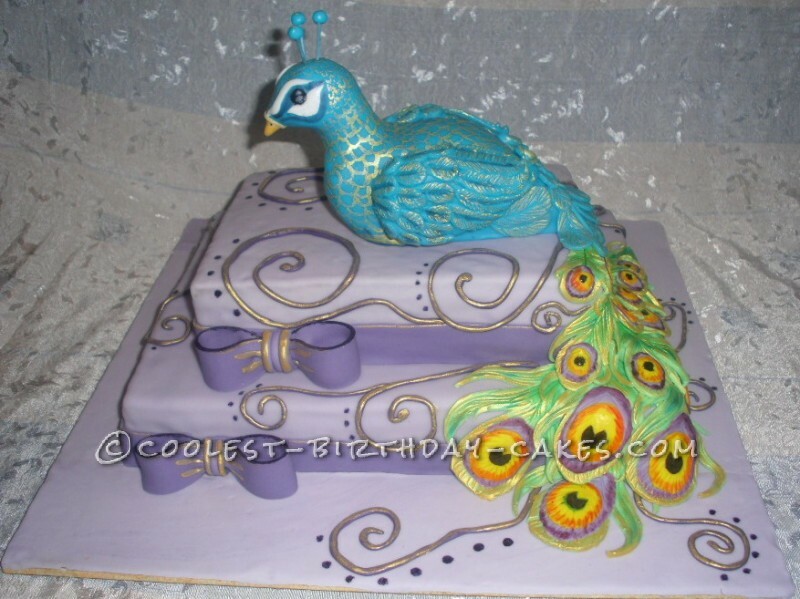 The Peacock and feathers are made of fondant.